It’s been quiet here, but I haven’t been slacking, I swear! 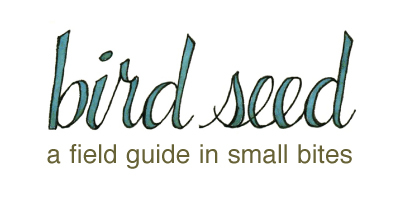 Lots of energy and time is going into a new venture that I think you’ll like: Birdseed. 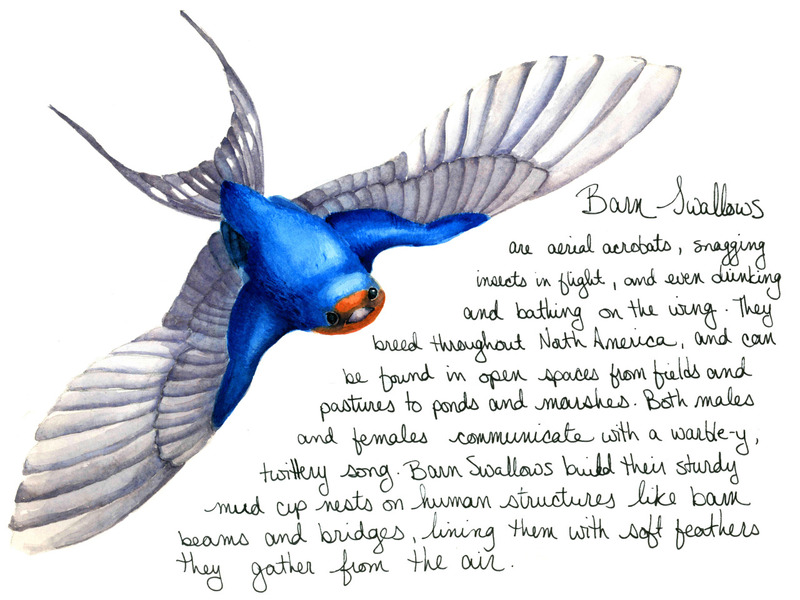 Since March, I’ve been painting familiar birds each week, and posting them along with small natural histories. I figure everyone knows at least ten birds already, but the more the merrier! And I get plenty of painting practice while I’m at it! Skip on over and check the rest of them out! You can subscribe if you have a Tumblr account, or you can check back each Monday morning for each week’s post. Hope to see you over there! Ahh, I love barn swallows. Their beaks are so tiny and cute. Very playful, it’s mesmerizing to watch them do their aerobatic maneuvers! I have a bird-friendly garden and I have seen lots of them. Although I do think there are a couple of them that are regular visitors. I took a look at your guide. Do you do the drawings?